There are so many people on the beauty planet who have tried a Kiehls product in fact they have become a staple for nearly every single one of our beauty needs for example when it comes to body lotion, the brand’s legendary Crème de Corps is hard to beat. But fragrance isn’t typically something we look for when we pick up a Kiehls product from this apothecary-turned-international success story. A permanent library of well-crafted scents has never really been Kiehl’s forte that is until now. 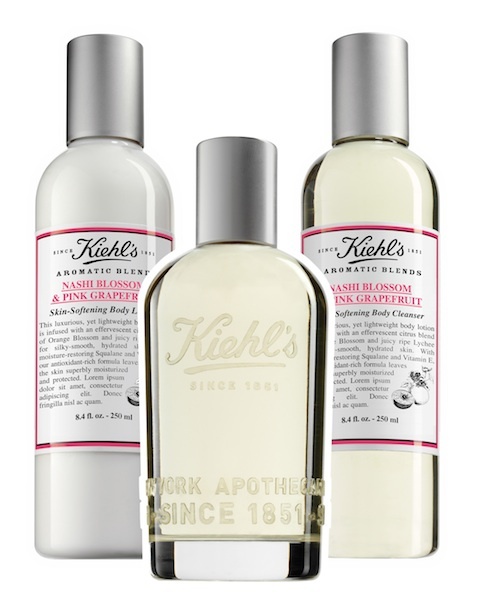 Kiehls announced that its new Aromatic Blends collection would arrive mid year. Aromatic Blends officially launched online June 27th and unsurprisingly, it does not disappoint. There are four scent families, the collection features ingredient duos that are naturally derived and sustainably sourced from all over the world: The Orange Flower and Lychee blend incorporates essences from the stem, flower, and leaf of the Moroccan bitter orange tree for a fuller-bodied finish. The Vanilla and Cedarwood concoction spotlights sustainable sourced Madagascar vanilla beans and smoky cedarwood from Virginia. The Nashi Blossom and Pink Grapefruit duo showcases natural grapefruit extractions. The Fig Leaf and Sage pairing features Mediterranean sage notes for a sweet, nutty quality. More impressive are the advanced aromatic reproduction technologies Kiehls has employed to re-create the exquisite smell of exotic ingredients, like Japanese Nashi flower and fig leaves from Provence. Which are too delicate to physically extract. Included in each range is a Body Cleanser, Fragrance and Body Lotion. Which shares the same squalane, shea butter, and botanical oil formulation that makes Kiehl’s Crème de Corps such a favorite. Enjoy an aromatic blend fragrance incorporated into your body treatments.